AvenueWest is a team of dedicated and reliable real estate professionals offering exceptional management and brokerage services throughout the Dallas area. We specialize in property management, corporate housing, short and long term rentals and relocation. We adhere to the highest professional standards of honesty and fair-dealing. All of our leasing agents are Texas Certified Leasing Specialist and licensed by the Texas Real Estate Commission. We are a family owned business, who's dedication to our clients and to our community reflects the way we conduct business. With our years of real estate knowledge, Dallas property management and our love for the Dallas area, we exceed expectations for every single property we manage or sell. We understand your property is one of the biggest investments you will make, and our dedication to our clients reflect exactly what you will need to keep your investments protected. You will find our services to be the highest caliber, with detail second to none. Whether you are a seasonal, or a new real estate investor, it is critical that you have competent and reliable help in managing your investment properties-and that is who we are. It is our goal to make your investment experience as pleasant and effortless as possible. Give us a call, or e-mail us on how we can make your life easier with your investments. From our family to yours, peace of mind is guaranteed! 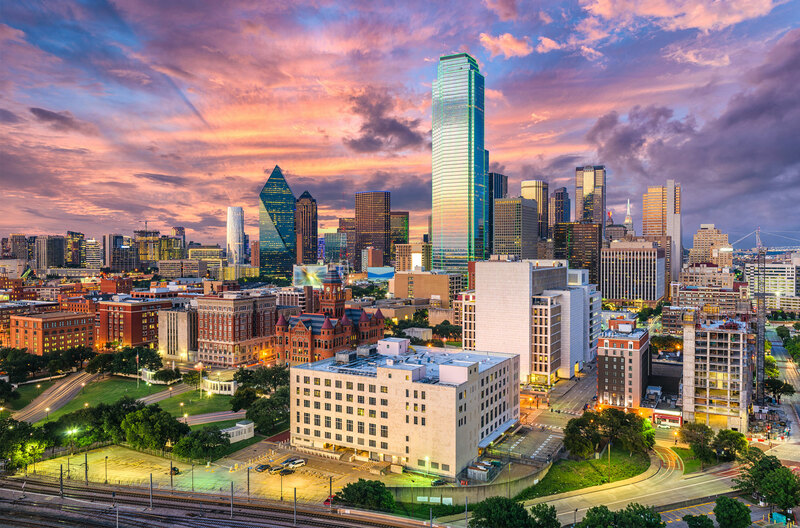 Dallas is ranked as one of the fastest growing cities in America for jobs growth, and is home to 18 Fortune 500 companies including Exxon, AT&T, American Airlines, Texas Instruments, and JC Penney. Our great city is also known for high quality education, outstanding shopping, a thriving Arts District, and four pro sports teams. The AvenueWest Dallas local team knows Dallas and the neighborhoods and surrounding areas that will meet your housing needs both short and long term. We focus on downtown Dallas as well as Arlington, Denton, Garland, and Irving. AvenueWest Managed Corporate Housing is in its 17th year as a network of locally owned and operated real-estate brokerages offering fully furnished and serviced residential properties. AvenueWest combines quality residential properties in a true home-like community atmosphere with more space, comfort, conveniences and service. Live like a local in the quiet enjoyment of your home away from home. Discover you can retreat, after a busy day, to a place that meets all of your needs and you are glad to come 'home' to. Our properties are all Class A real estate with furnishings, housewares, utilities and expenses all included in one easy bill. The quality of our linens and towels is consistent in all our properties and regularly checked to make sure they are on par with our high standards. We have developed a standardized "kitchen kit" that is available to property owners to purchase to ensure the best quality products for our tenants. This provides a standard of housewares for all of our properties. See also our Standards of Quality in the right-hand sidebar on this page. Each office has been staffed with a team of seasoned real estate professionals with the knowledge to find the best housing solution for you. More information can be found on our Real Estate page. To connect with a qualified agent, call us at 800-928-1592 - we're exited to speak with you! Co-Founder Kimberly Smith has a passion for women, education and entrepreneurship that is evident throughout AWCH's community involvement from donating housewares to a women's homeless shelter, furnishing an entire kitchen for a new halfway house for teen mothers, sponsoring weekend mountain adventures for disadvantaged inner city teens and sponsoring an annual fundraiser for a women's enterprise program in Nepal. Paul Guthrie is a long-time real estate agent and property manager in Dallas, Texas. Amy Guthrie is a former technology sales associate turned marketing and sales agent. Together the couple operate and own the Dallas franchise of AvenueWest Global Franchise, a global corporate housing agency. As two entrepreneurial spirits, this hard-working husband and wife duo bring unique skills and energies to the "family" business. Amy describes Paul as the "nerve-center" of the business, as he runs the operations and brings the real estate expertise to the table. Paul describes Amy as the "creative one" who oversees the company's marketing and sales. With growth dreams on their minds, the couple learned about AvenueWest Global Franchise in May 2011 and they knew it would be a perfect fit for helping them achieve their growth goals. They quickly decided and purchased the Dallas franchise in August 2011. Paul says, "While my independent real estate business was doing okay, I knew it could do even better. I thought adding furnished housing to our property management company sounded like the perfect opportunity to give my business the competitive advantage it needed. I also knew it would help increase our revenue [through the addition of another income stream] over time, which I knew was essential to growing my business." Since starting AvenueWest Dallas, Amy says their company has gotten a "leg up" in managing their approximately 130 unfurnished and nearly 20 furnished properties more strategically. "Our only wish is we had more furnished properties in our portfolio. Demand is high," says Paul. Further, Amy says that AvenueWest Global Franchise has given their business the "tried and true" tools and foundation needed to operate more efficiently. "Running a property management company can be time-consuming, but with AvenueWest Global Franchise behind us, we are able to streamline many of our backend processes so we can focus on our clients first and foremost," says Amy. The couple also agrees that managing a growing business can be challenging. "Managing a slew of rental properties takes constant attention to detail and quick reactions. Oftentimes we find ourselves scrambling to fill vacancies or running amok managing client requests. It's definitely more challenging managing furnished rentals vs. unfurnished rentals, but we know it will get easier with time." On a personal note, the Guthries have been married for six years and work where they play. "We love the downtown Dallas area. By living here we're able to share our passion for Dallas with others and truly help them find the rental properties they need. It's true what they say, 'If you love what you do and do what you love, then it's not work.' We couldn't agree more," says Amy.